Alain Prost lead pretty much the entire race from pole to take his second win of the season. It was a big day for the championship, too - Nelson Piquet finished second to take the championship lead away from Carlos Reutemann, who’d headed the points since the third round of the season. He retired after colliding with Jacques Laffite - another title contender - early on in the race. Eliseo Salazar picked up sixth place and the final point for the Ensign team. A year on from his debut, Michael Schumacher grabbed his maiden victory for Benetton. In drying conditions, he made the call to switch to slicks at exactly the correct time, which jumped him from fourth place to the lead. Nigel Mansell and Riccardo Patrese finished second and third, securing the constructors’ title for Williams. In unbelievably wet conditions, David Coulthard triggered one of the most spectacular accidents in F1 history when he speared into the wall on the exit of La Source on the first lap. 13 cars were involved and four drivers (Rubens Barrichello, Olivier Panis, Ricardo Rosset and Mika Salo) were unable to take the restart. At the restart, Damon Hill shot into the lead for Jordan and stayed there for several laps, until Michael Schumacher’s ‘bonus multiplier’ - for being both amazing at Spa and great in the wet - kicked in, and he took the lead. He was looking set for a dominant victory and an important points gain over Mika Hakkinen (who spun out at the restart) until he came up to lap David Coulthard. Coulthard lifted off, Schumacher went up the back of him and sped back to the pits on three wheels to retire - and to go and have a fight with the McLaren driver. That left Jordan in a position to claim a one-two, with Hill taking his final career victory from Ralf Schumacher. Jean Alesi stood on the podium for the last time after finishing third for Sauber. 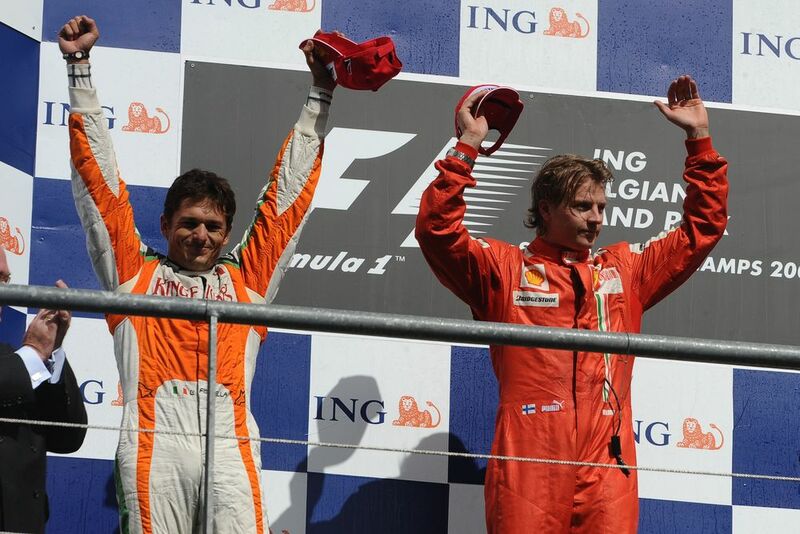 Giancarlo Fisichella caused a massive upset on a weekend where the usual pecking order of teams was all over the place. 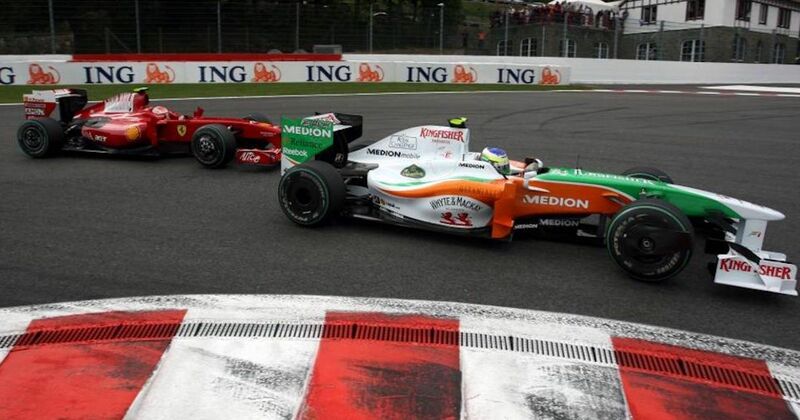 He took an amazing pole position for Force India and led off the line. However, following a safety car restart, Kimi Raikkonen’s KERS-equipped Ferrari blasted past. Although Fisi was faster, he couldn’t get back ahead and had to settle for a still-impressive second. Gerhard Mitter (born 1935) was best known as a sportscar driver, but entered a few races throughout the sixties (mostly at the German Grand Prix) with a best result of fourth for Porsche in 1963. In the latter part of the decade was one of the F2 entrants often used to bump up the number of cars on the grid, though he died in a crash during practice for the 1969 race. 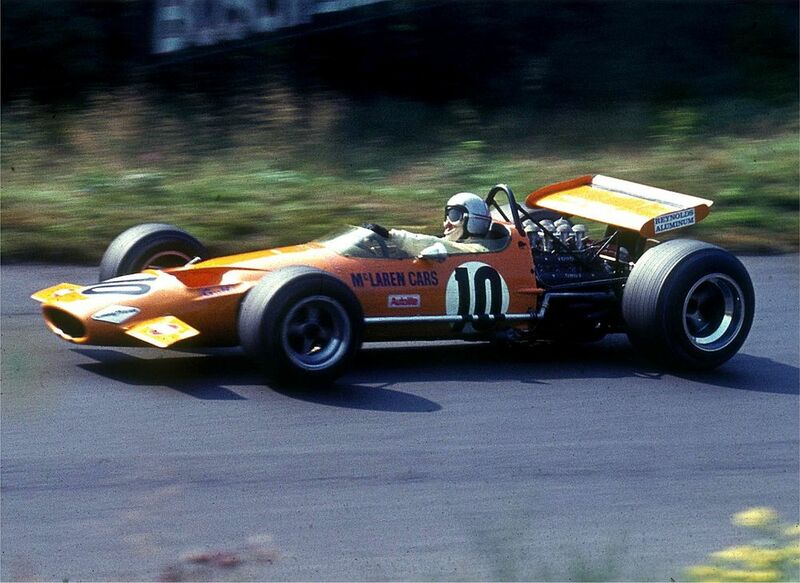 The seriously talented Bruce McLaren (born 1937) tasted plenty of success in Formula 1, but - as you might have guessed - he’s probably more famous for starting the McLaren team, which started its first grand prix in 1966. Bruce raced (and won) for his own team in both F1 and Can-Am, but died in a testing accident at Goodwood in 1970. Ignazio Giunti (born 1941) drove in a smattering of races for Ferrari in 1970, his best result being fourth on debut at Spa. He was more successful in sportscar racing, though he was killed in an accident during the Buenos Aires 1000km in 1971.